CLR are here to help you in your search for your perfect laptop replacement or upgrade with our Dell Vostro 15 3000 Series (3568) Laptop Review and Specification article. When it comes to buying a laptop you must make the right choice. 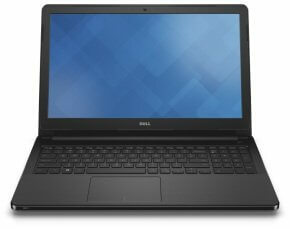 Lets do the Dell Vostro 15 3000 Series (3568) Laptop Review and Specification. You will get all of the info that you need to make your decision, about your next buy. With up to 2 SoDIMM and up to 8GB DDR4 memory, multi-taskers can keep several applications open at the same time and switch between them easily without lag. Safeguard your small business data with optional hardware TPM 2.0 for commercial-grade hardware protection and storage for encryption keys. Plus, you can log in quickly and securely without having to use a password with the optional, built-in fingerprint reader. Dell have been using this tech on their business laptop since the mid 2000s. This allows Windows 10 Hello bio metric recognition feature to work flawlessly, well almost. The security from Dell does protect your data and your system from malware and cyber threats, once configured. HDMI and VGA ports support peripherals and simplify connections to a projector for presentations or a secondary monitor for increased productivity. You also get faster throughput and reliable connections and transfers with the Dells two USB 3.0 ports and an SD media card reader.